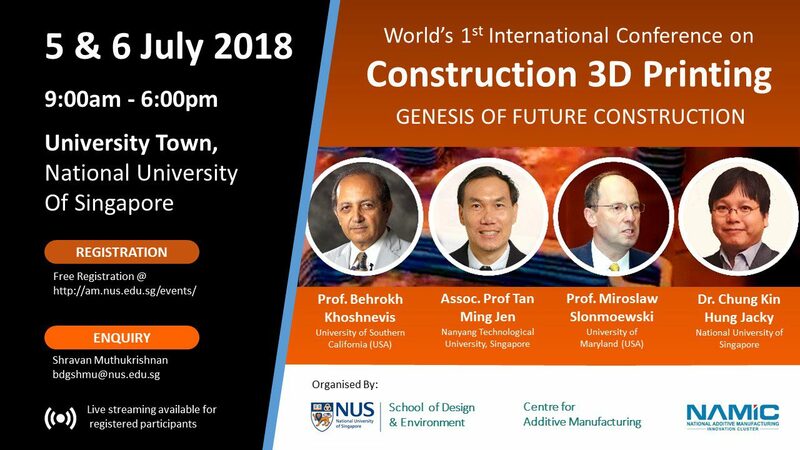 The aim of this conference is to share recent advances in Construction 3D Printing Research around the world and establish a platform for future collaborations. PROGRAM & TOPICS: The conference focuses on these themes: Machine technology, Material analysis, Performance & evaluation, Dynamic design and Functional inventions. SPEAKERS: International Speakers with diverse backgrounds. WHO SHOULD ATTEND: Researchers, Developers, Builders, Contractors, Consultants, Project Managers and Construction Managers.